holiday decorating | Finding delight. 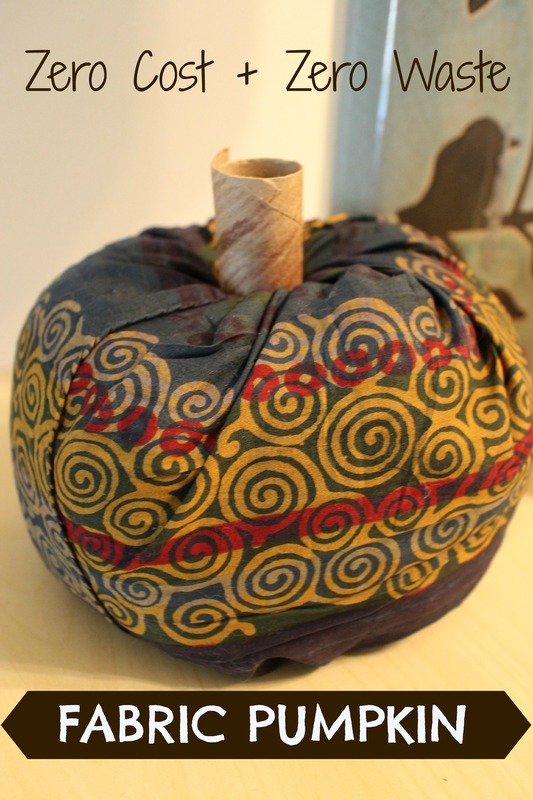 Make a ZERO COST fabric pumpkin in minutes! Now that we live in Miami, seasons are sort of a thing of the past. When I peak out the window the October sunlight tricks me into thinking it’s gonna be downright balmy outside. No dice! Still in the upper 80’s and humid as heck. While this is certainly a plus for relaxing at the beach when everyone else in the country is bundled into three layers for tailgating, it can be a little difficult to get into the holiday spirit. With Halloween just around the corner, we wanted our apartment to feel appropriately autumnal. (And I really want Trick-or-Treaters to show up at the door!) One fun way of achieving this look ended up being too awesome NOT to share. 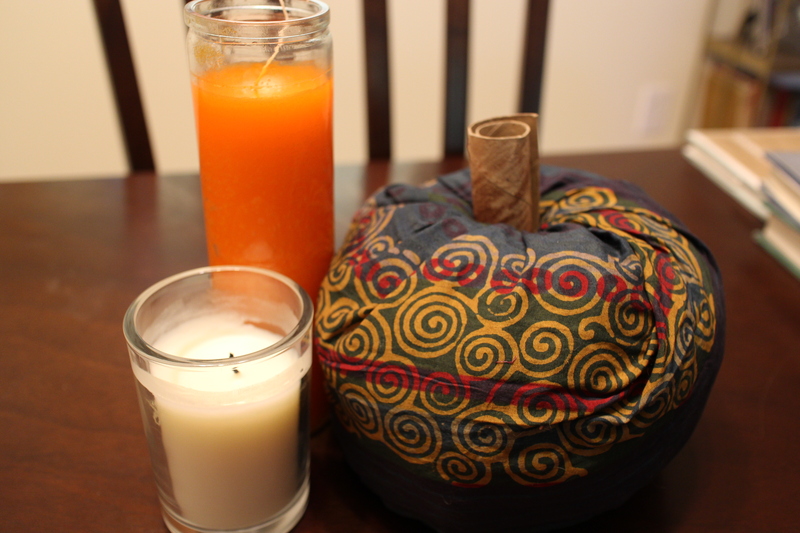 Mainly because this particular decoration was made from items I had on hand AND took me less than 60 seconds to make. That beats purchasing some cheap, plastic knick-knack I’m gonna have to store OR WORSE…one that ends up in a landfill. …..and a handy roll of good ol’ T.P. 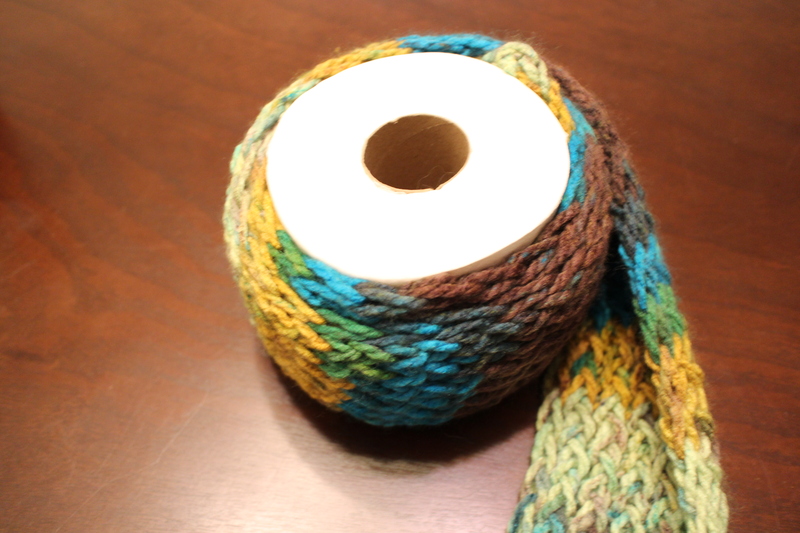 Wrap a scarf or a piece of fabric around a roll of toilet paper to give it a bit more GIRTH. 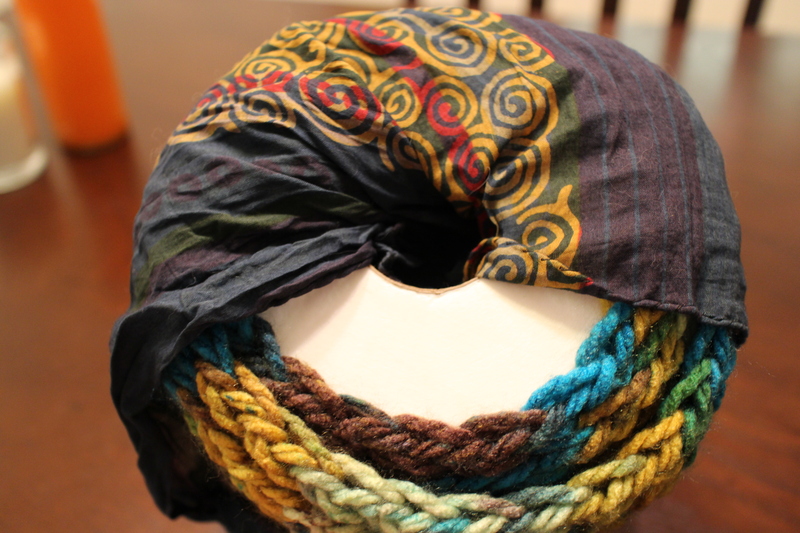 Wrap the desired exterior fabric around the roll vertically. If your fabric is quite thin you can thread it through the hole until you’re all the way around. Or, like I’ve done below, you can simply tuck the fabric in section by section on both sides. Once all the fabric is tucked and the whole thing is covered, just fluff and fiddle with the folds until you’ve reached your desired effect. Admittedly, a cool looking stick from your yard would make the BEST stem for your pumpkin. (You could even paint it!) But those type of trees don’t really grow here so I took an alternative route — one that fully embraces my pumpkin’s past life. 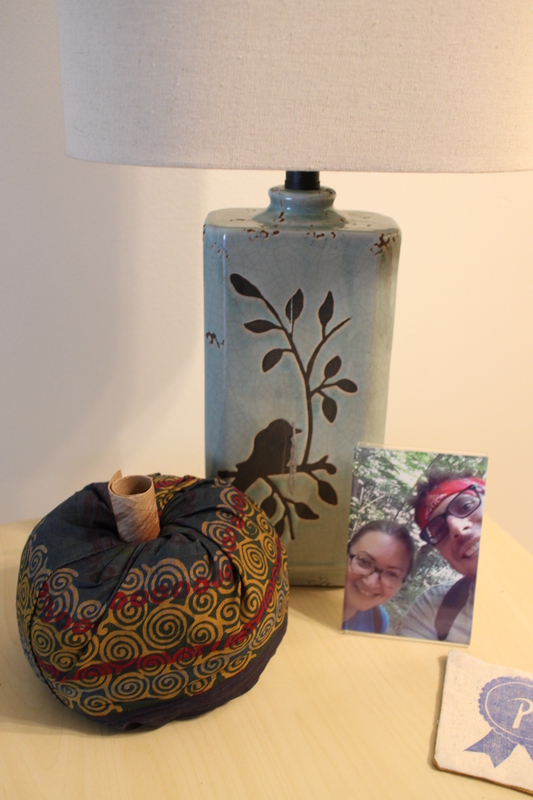 Now find a little home for your brand new pumpkin! Make one or a ton. 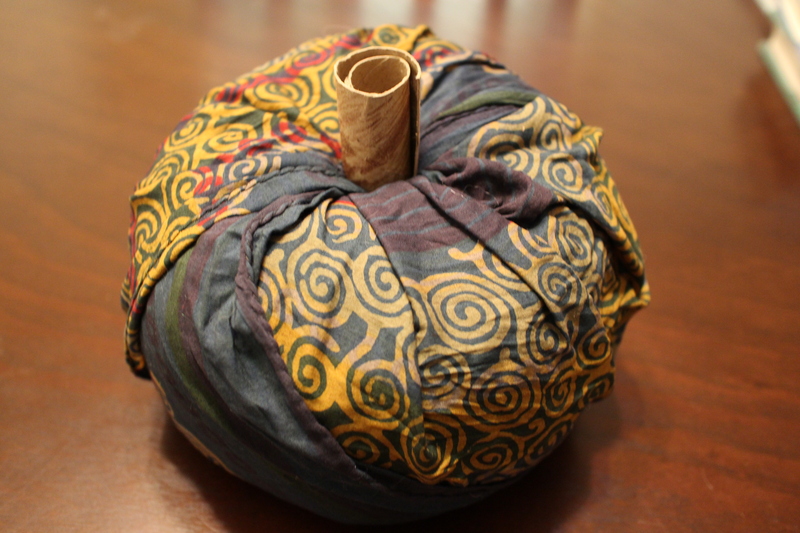 Stack two rolls on top of each other to make a tall pumpkin or add more center fabric to make a fat one! The possibilities are endless!!! And the best part? Once the season is over, you can take your little creations apart, tucking the materials back in their proper place and putting them to new use. Pretty cool! P.S. I’m also a fan of these foam decorations (packs away flat when stored off-season) and a well-placed window cling for some spookiness. I may have gone a little crazy with the pumpkins. Oh well! 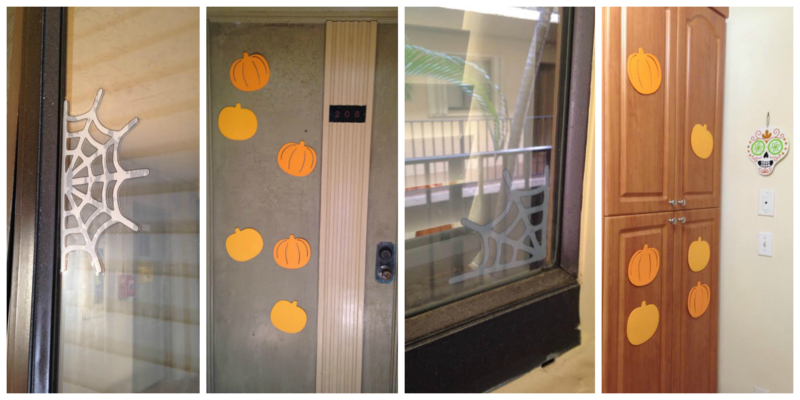 *shrugs* One girl’s freshmen year dorm door dec is another girl’s first attempt at a tropical autumn.